Participating in community engagements gives us immense psychological benefits. Getting involved in community projects makes us feel part of something greater – feeling part of a team and leaving an indelible mark to aid in making the world a better place. For most of us, it’s been a long time since we engaged in an activity to benefit our community. Today, however, we will take steps to do things differently by learning on various ways people can get involved in their local community this year. Here are some of the best ways to engage in your community’s well-being. If you or your neighbors can dance or sing, consider performing at a seniors’ home. Alternatively, if you can’t carry a tune, consider contacting your church choir, the local a cappella group or youth dance troupe and enquire whether you assist in organizing a trip. A good number of residents in nursing homes endure isolation and don’t have many opportunities to engage with others. Musical shows would go a long way in making their day. Contact your local seniors’ home to know about their policies before you start making plans for the show. Bats are crucial – and curiously docile – members of our ecosystem. Bats pollinate pants and feed on pests like mosquitoes, ants, and flies. A brown bat munches 1,000 mosquitoes every hour when it’s awake. To lure nature’s exterminator build a bat house besides your garage. Construct or buy a pre-made house at the local improvement store. Read a lot of bats as they have specific needs like direct sunlight; thus their houses must face south or east. Local elections take place more frequently compared to national polls, which presents you with great opportunities. Voting allows you to involve yourself in making a difference in numerous ways – such as voting for whoever you feel is the ideal candidate for a particular job. Another chance is to organize or join a community-driven campaign with the shared interest of voting for a particular contender. Try shopping at the locally owned store for excellent customer experience – as opposed to purchasing a big retailer. Local stores offer much friendlier service, and you get to invest directly in your community, helping it prosper. The American Independent Business Association reported that 48-percent of each acquisition remains in your community. Compare that to the 14-percent that remains from chain stores. Local enterprises tend to invest more in their localities that the more established chain stores. Supporting local stores means increased funding for community events, more local jobs and the nurturing of entrepreneurship spirit within the neighborhood. Perhaps there’s no better way to involve yourself in your community than lending a hand alongside like-minded locals as it gives you an opportunity to gain an insight into issues facing your community. You can volunteer at the local recovery center to help recovering alcoholics and drug users to rebuild their lives. Visiting patients at these centers gives them a chance to share their problems with a non-judgmental audience. 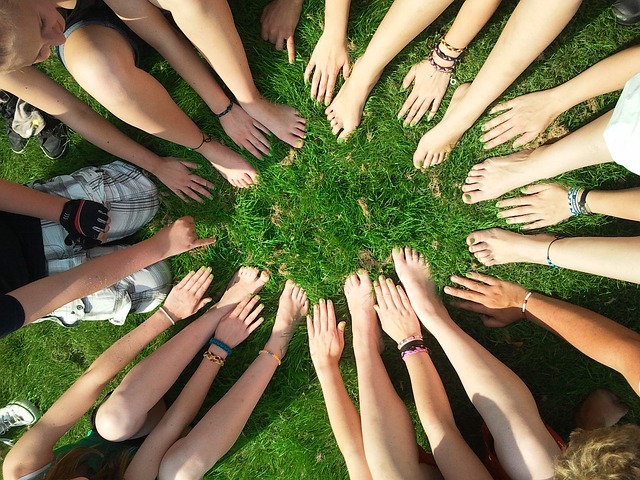 Grasping the value of community will spur you to take a more active role in community-related issues which considerably raises the quality of life. In any case, nobody wants to live a detached life.